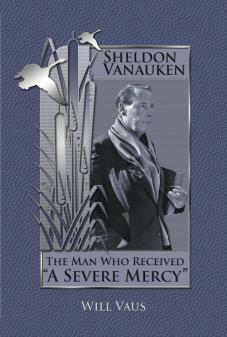 Will Vaus - Sheldon Vanauken: The Man Who Received "A Severe Mercy"
The life story of Sheldon Vanauken is one of adventure, romance, conversion, grief, and recovery. Much of this was chronicled in the autobiographical bestseller, A Severe Mercy. However, a good deal of Vanauken's fascinating life remained shrouded in secrecy . until now. Through a process of careful historical research, including interviews with Vanauken's many friends, colleagues, and students, Will Vaus reveals to the reader the numerous facets of a complex character. In this biography we discover: Vanauken the struggling student, the bon-vivant lover, the sailor who witnessed the bombing of Pearl Harbor, the seeker who returned to faith through C. S. Lewis, the beloved professor of English literature and history, the feminist and anti-war activist who participated in the March on the Pentagon, the bestselling author, and Vanauken the convert to Catholicism. What emerges is the portrait of a man relentlessly in search of beauty, love, and truth, a man who believed that he found all three in the end.